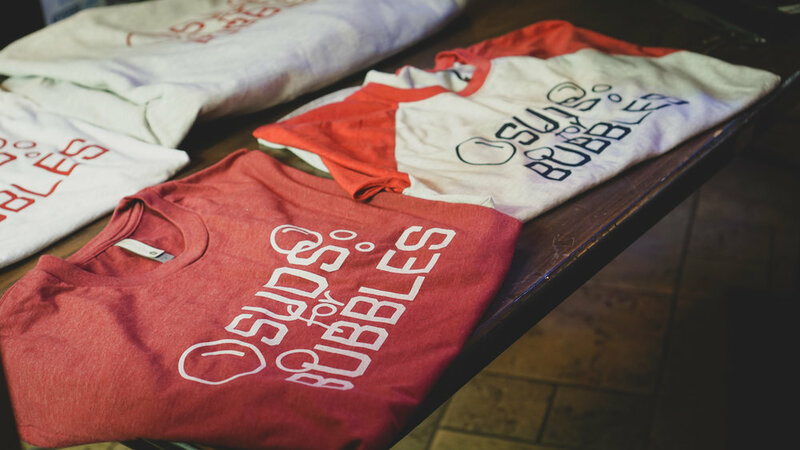 Last week we joined 310 Pub for the Suds for Bubbles fundraiser. This event helped raise money to benefit pediatric cancer. We were extremely excited to come in and print shirts for such a meaningful event. Live printing is a great way to add a new dynamic to your event or fundraiser. Why just sell shirts when you can watch them be printed, on-site, and choose your colors and ink. You and your audience get a behind-the-scenes look at the printing process in all its glory. 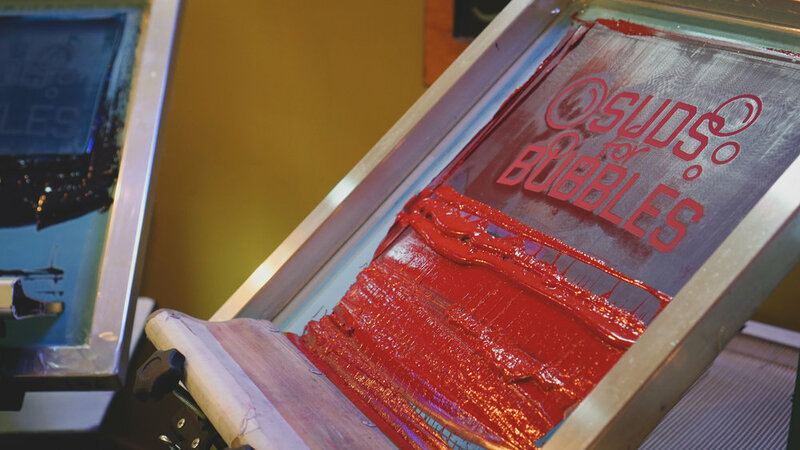 Businesses like Adidas, Target, AT&T offer live-printing at many of their specialty events. Why? This gives your audience a unique opportunity to personally create a one-of-a-kind shirt that is only available at your event. This builds incentive, interest, and awareness. The only way to score one of these tees is to join the event in person, encouraging guest attendance and participation. Live Screen Printing brings a level of craftsmanship to your apparel and thus, to your brand. Take our word for it, screen-printing on-site brings a truly unique experience to your customers that heat-press methods can’t attain. So often do customers go from place to place seeing products on shelves, so why not bring a different dynamic to your products! Interested in hosting a live print for your event? Send us an email with the details of your event and any accompanying artwork you’d like on your tees. We’ll respond and get you all the information you’ll need and before you know it, you’ll have the hottest event on the block with live-printed apparel from Duluth Screen Printing company!